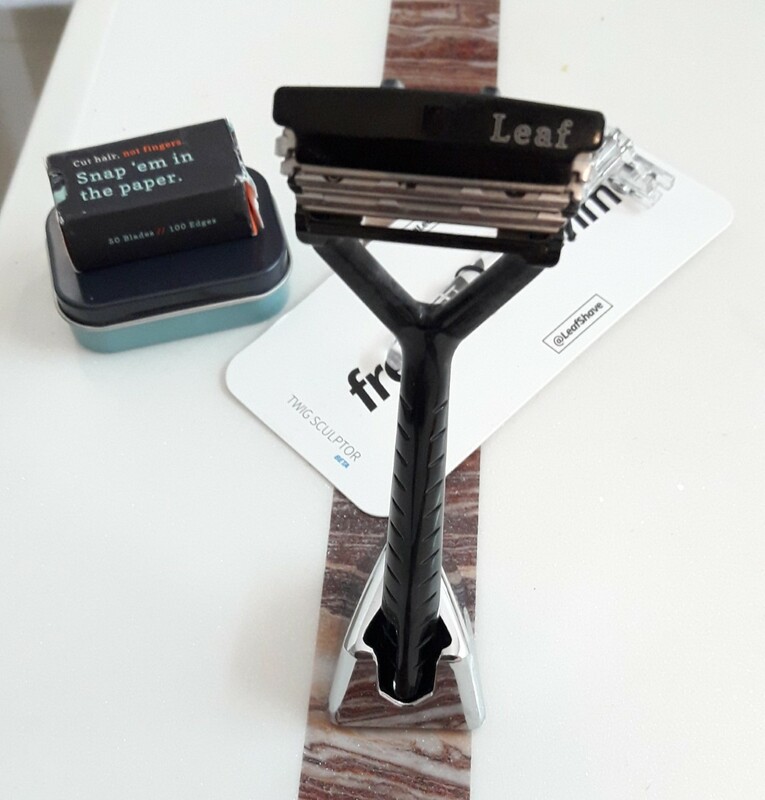 I received my Leaf razor a couple of week ago and this thing is a truly innovative design! We often look at slight changes in blade gap, exposure etc and claim an innovative design…and they are! But this razor takes innovation to the next level. The blade loading tray is genius, it's impossible to set the blade crooked due to the magnetized stoppers. The pivot has a large angle of motion so one can tailor the shave to their preference. The package comes very nicely packed and includes the razor, an awesome razor stand, the Twig trimmer razor, a blade bank and 50 Personna blades. The leaf receives some negativity. What I believe it comes down to is how it's used. 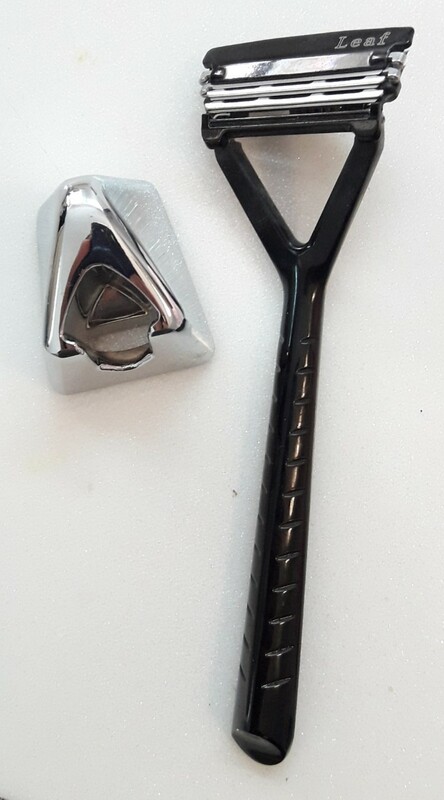 From the YouTube reviews I’ve seen, the users were applying no pressure, as if it's a fixed head razor but it's a pivot head and pressure is a must to achieve a close shave. How much pressure just depends on the requirement of the user. 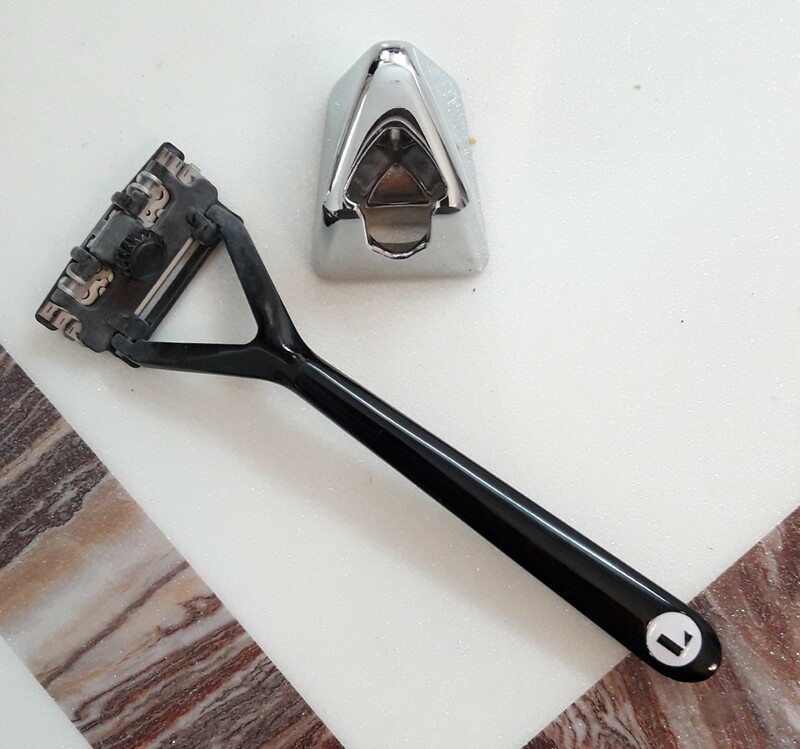 So I basically used the same technique as I used to use with my mach 3 and ended up with an ultra-comfortable and very close shave! There is no “mild” or “efficient” with this razor because of the pivot. If you push down, you'll get a closer shave. If you take a slow stroke, you'll get a closer shave. The leaf has given me what I loved about the mach 3 but with the flexibility to use my favorite DE blades (Polsilver), more comfort, no tugging or irritation (presumably due to being able to use blades that are right for me). The weight is perfect, hefty and solid! I really like the feel of the razor in my hands as I’m using it. I do wish it had a round, knurled handle but that’s just because I’m used to the handles on DE razors. It took a few uses to get used to the handle but after that, there was no issue as it’s quite ergonomic, and not at all slippery. The head is large! No doubt about it. However, it’s all in the angle of attack. I come in at an angle and can get to the majority of the stubble under the nose. The most pesky of stubble can be gotten without the use of the Twig trimmer razor however, it does require a specific technique and patience. I just use my DE to get to those pesky leftovers. The fit and finish is flawless. The black finish is just beautiful however, the hard water here does cause the scum to be quite visible (as you can see in one of the pics). The satin would be better for hard water areas however, the black finish is still my favourite. I had my wife use it on her legs and she said it's the best, most comfortable shave she's ever had!! She's used several DE razors and just as many carts but she loved the leaf from the first stroke! The razor has become a shared razor because my wife now refuses any other razor I’ve given her. Whilst the Yaqi DOC was her favourite DE and the Kai 3 blade her favourite cart, she tells me that neither of them can compete with the speed and closeness of the Leaf. Overall, the Leaf really was a very pleasant surprise for me (and my wife!). It’s a razor I’d definitely recommend highly for it’s comfort and smoothness. Whilst it may not shave as closely as some of the more aggressive razors out there, the speed and efficiency is perfect for daily shaving, especially on those early morning weekdays! Mrs Nico made be buy one for her to replace disposable razors. Not used yet, colour Mercury looks nice. 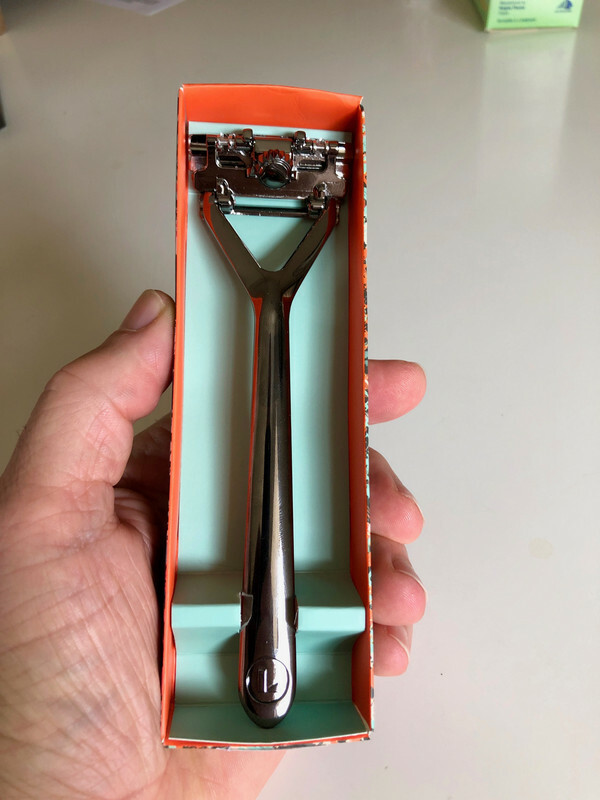 Why don't you start shaving your wife hairy legs tonight, that way you might be able to encourage to use the new leafy razor, otherwise give her a warning that you'll be shaving her hairy legs with a bloody straight razor next time. Are you going to try it out @Nico ? Look forward to your opinion of this razor. I say why not. Not sure when. Question: Does anyone else see a potato-peeler or do I require new spectacles . Oh you mean the ceramic bladed one. I've busted a couple of those. They were a good potato peeler. WOW that colour is awesome! I hope your wife likes it as much as my wife does. I'm also interested in your feedback on it once you've had the chance to try it out. For me the Leaf shaves like a cartridge razor. I found it mild with little blade feel but still managed a DFS, not bad for my first run with the Leaf. No doubt as ones technique improves so will the shave. For the good folk that like cartridge razors this is probably a decent alternative without the ongoing cost of cartridge replacements. I agree it has very little blade feel, especially due to the huge pivot. This is also the reason my wife likes it so much better than Gillette Venus. I did manage to get near BBS but of course it didn't last as long as my favorite DE shavers, and I believe that is to be expected just due to the design of the leaf. If I had to go to the office daily, I could see myself using the leaf Mon-Fri and enjoy my DE on weekends...but I'm not in that situation so happy to use my DE's daily. So @nav1 , if I've gone one too many days chasing BBS and my skin needs a rest is the Leaf good for a DFS with minimal skin irritation? I found the leaf to be very gentle on my skin, and I'm very prone to irritation! It's one of those razors that could be used for daily shaving and it'll keep the skin happy. My wife always has issues with carts and DE's, the leaf is the first razor where she doesn't get razor bumps/in-growns on her legs. Well, Mrs Nico has given the Leaf razor loaded with Astra Superior Platinum Double Edge blades a big thumbs up. Her words, I can't feel the blades, so smooth, it just glides over the skin, it's amazing. Safe to say its a keeper. Amen 🙏 Fred..... now give Wilma a big kiss for keeping the Leaf razor. Very similar feedback to what my wife said. For my face shaving, it is super comfy and literally no blade feel but I don't use it often as it always has my wife's blades loaded in it. @nav1 Are the blades that came packaged with the Leaf any good? My daughter is now keen to give the Leaf a go for the same reasons mentioned on this thread. Looks like I will be taking it with me on my next trip down to Melbourne. Have a good Monday all. They are personna red blades from what I've been told. It's a pretty decent blade actually. I used one in my Karve and it was quite good. Question to the new purchasers of the Leaf razor. Does the package still come with the plastic half blade razor? The reason for my question is that a while back Leaf contacted me re my opinion on the Twig as they were contemplating making a stainless steel version. It may not be far off being available, I’ll have to keep my eyes open. When placing the Leaf razor order the Twig was a free option. A stainless steel version would be an improvement as the plastic Twig is a bit flimsy.